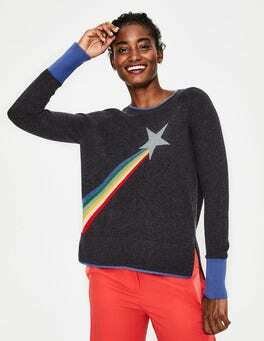 When you're planning a day of running wild and racing around, we've got the cosy jumper for you. 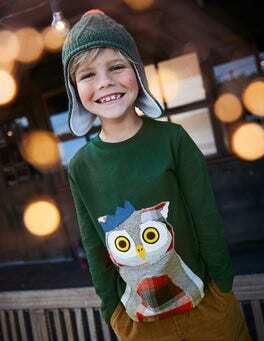 This soft merino and cotton sweater features fun and colourful patterns. And it's machine washable, so you can wear it on all your adventures. 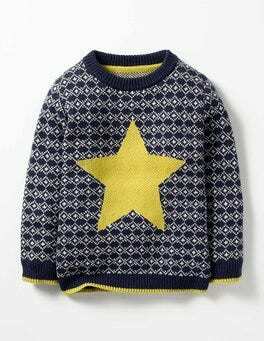 With this bright jumper, there'll be no mistaking the star of the show. The bold woven design is made from a warm (and machine-washable) wool and cotton blend, so it's perfect for chilly evenings gazing at the Milky Way (or keeping cosy indoors with a mug of hot chocolate). Sensible? Boo. Fun? Yay! Sensible-fun? Boo-yay!? Okay, so that didn't work, but our cosy, brush-back cotton jumper certainly does. 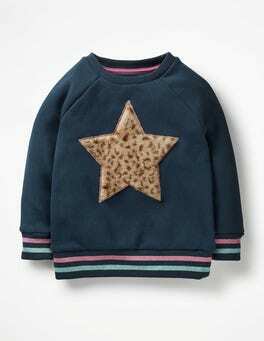 We've added a couple of special Mini Boden touches: faux-fur embroidered motifs and sparkly go-faster stripes. Ready to race to winter wonderland? 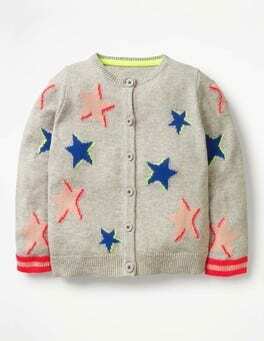 Reach for the sky in this sparkly jumper. 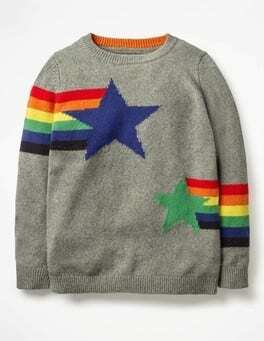 In a wool-rich mix with a retro buttoned neckline, this knitted jumper is ready to leap into action. Whether this is to catch a rainbow or a star. 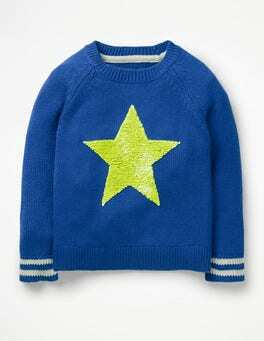 With this bright jumper, there'll be no mistaking the star of the show. The bold woven design is made from a warm (and machine washable) wool and cotton blend, so it's perfect for chilly evenings gazing at the Milky Way (or keeping cosy indoors with a mug of hot chocolate). You could argue that we've crafted this cardigan from a supersoft cotton-Merino wool blend, but let's be honest: it's really made from 100% FUN. Whether you choose the horses with tassel manes or a star pattern, it's bound to shine bright at family dinners and playdates alike.